New Jersey insurance regulators fined UnitedHealthcare $2.5 million for several insurance law violations, including sending patients to a provider of hemophilia services that hadn't been approved by the state. The fine—the New Jersey Department of Banking and Insurance's biggest in 9 years—was handed down in February 2018 but announced this week. New Jersey requires that any managed care plan offering benefits or services for the home treatment of hemophilia to contract with a provider designated by the state to be complying with certain standards. Some of those standards include the ability to maintain and provide all brands of blood product, ancillary supplies for treating or preventing bleeding, including blood infusion equipment and cold compression packs. The contracted providers also must be able to deliver prescribed drugs or services within three hours of receiving the prescription. Providers must apply to be a designated hemophilia healthcare provider. But according to a consent order published by the department, UnitedHealthcare in 2017 directed some members to a non-designated provider. Regulators received complaints from patients experiencing issues when dealing with that provider. 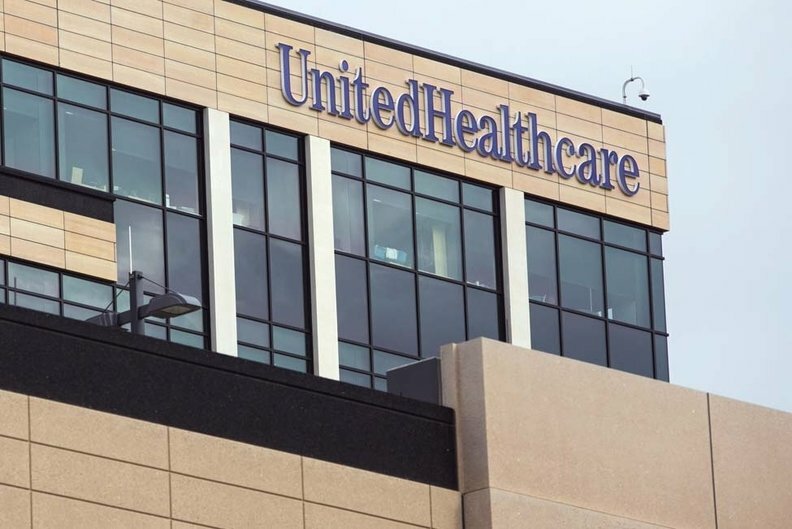 UnitedHealthcare chalked the problem up to administrative oversight, saying the provider was acquired by an affiliate company in 2015, according to the consent order. Just 11 patients had received services from the non-designated provider since Jan. 1, 2017, and UnitedHealthcare stopped using it as of September 1, 2017. "We worked closely with the New Jersey Department of Banking and Insurance to address its concerns and made improvements where needed," a UnitedHealthcare spokeswoman said in an email. In another violation, UnitedHealthcare subsidiary Oxford Health Insurance, which offered individual comprehensive health plans with no medical underwriting in 2017, allegedly told New Jersey residents that it sells only medically underwritten limited benefit plans. When calling an 800 number listed on Oxford's website, regulators said customers were asked medical questions and told they were ineligible for coverage because of medical conditions, according to the consent order. UnitedHealthcare told regulators the isolated error was due to improper customer service training and wasn't intentional. New Jersey regulators also called out UnitedHealthcare and its affiliates for failing to quickly comply with the decisions of an independent medical necessity review program that reversed the insurer's claim denials. The consent order also describes regulators receiving complaints from physicians who said UnitedHealthcare required them to get approval from patients before appealing a payment dispute. When confronted by regulators, the insurer said it would stop that practice. Aetna also received a $350,000 fine in the second quarter of 2018 for issuing 335 new small employer health plans after telling the department they were withdrawing from the New Jersey market. New Jersey requires health insurers to stop issuing new policies within two months of announcing a withdrawal from the market.